Here's the Latest on the Mr. Mike story, posted on Lan Lamphere's website, OverNight.AM. "On July 12, 2010, the complete story of our friend “Mr. Mike” will be revealed on Overnight AM. The team of researchers, “Hero’s”, that took on this case have made history. 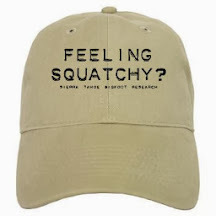 The Bigfoot Researchers world was turned on it’s head, discredited, abused and shamed by those looking to profit from the popularity of Bigfoot’s legend a little more than a year ago. 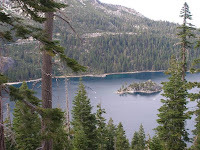 Bigfoot Researchers, world wide, have been redeemed publicly, and communally, as of today. Tune in On Monday, July 12, 2010 to Overnight AM to get the complete, and full, story of “Mr Mike” and his reported encounter with a family of Sasquatch, and the investigators that broke the case wide open and restored all Bigfoot Researchers credibility. TUNE IN LIVE Mon-Fri 10 pm EDT / 9 PM CDT only on DCIX.FM – New Video Feed"
Click Here to listen to the original Interview with Mr. Mike on July 3, 2010.